Now, I’m no expert when it comes to cars, in fact my car knowledge is pretty limited but what I can happily talk about is what it looks like. And what a good looking car this is! I really, really like the colour which is called Soul Red Crystal but it’s also available in eight other colours. 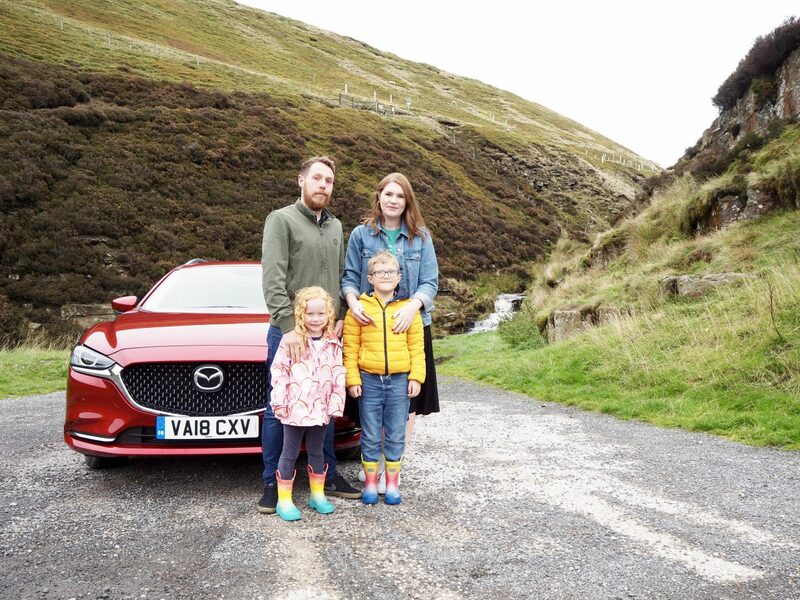 The Mazda6 is a pretty big car, which is great for us as a family as it means there’s plenty of space for the kids, dog and everything that comes along with them. But at the same time, it’s not too big. We live on a street which is always busy and parking can be tricky at times. So although the Mazda6 did feel bigger than our own car it didn’t feel huge and was easy enough to parallel park in. The interior of the Mazda6 feels luxurious and really spacious, which is important to us. The kids car seats fitted comfortably. I have been asked whether you could fit three car seats in the back and although I’m not 100% certain, I don’t think you can unfortunately. The front seats are super comfortable thanks to the new ergonomic design which is sculpted to the human form for extra back support and comfort. And of course there is also the heated seats and heated steering wheel which are amazing and perfect for those cold winter mornings. The car also has a multimedia system where you can access navigation, communication and entertainment. It can be used either by touch screen, voice command or by using the handy dial located between the driver and front passenger seats. First of all the Mazda6 has i-stop technology, which means that when you stop at a junction or at traffic lights, the engine will shut off and start up again automatically when you move again. I know this is something that a lot of cars have these days but it was brand new for us and something I really liked in terms of reducing fuel consumption and emissions. Something else that I really liked was the front and rear parking sensors, which are great for us as we have to parallel park on our street all the time and it can be tricky to say the least! The final feature that I wanted to mention is the electronic parking brake. When we first got in the car for a drive we had no idea where the hand brake was, but we soon discovered that it’s actually a switch located where the hand brake would usually be. How clever is that? This of course means that less space is taken up by the hand brake. Being safe in our car is important to us all, but even more so when we have little ones to look after. 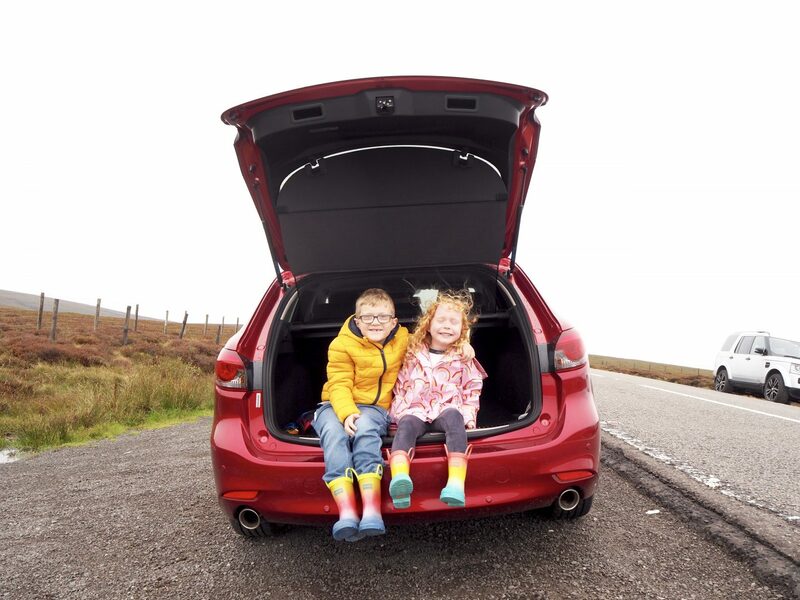 The Mazda6 has ISOFIX child seat points so it’s easy to get children’s car seats in and out of the car and ensures that they travel safely. One of my favourite safety features on the vehicle was the Lane Keep Assist. This means that the car will alert you if you start to move out of your lane at all. 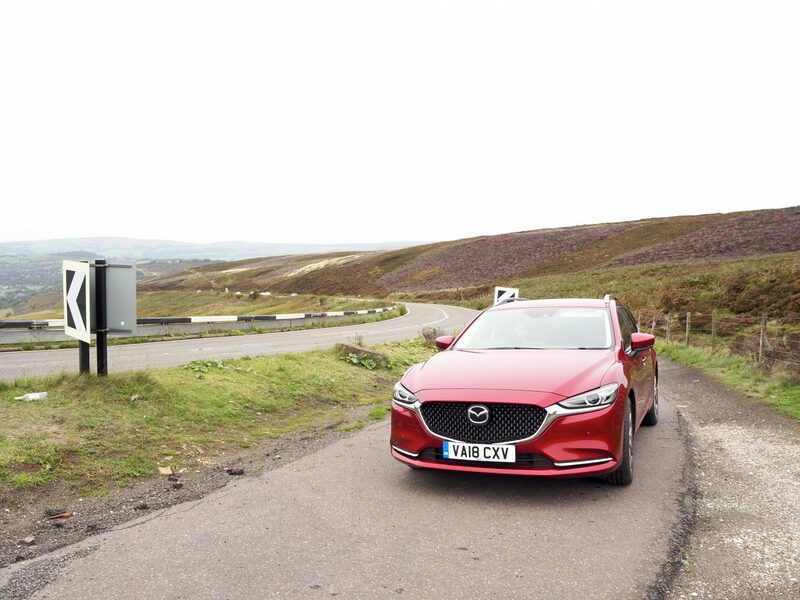 Overall we really enjoyed testing out the Mazda6 Tourer and think that it’s a fantastic family car. My favourite features were the heated steering wheel, i stop technology, spacious interior and boot and the Lane Keep Assist system. 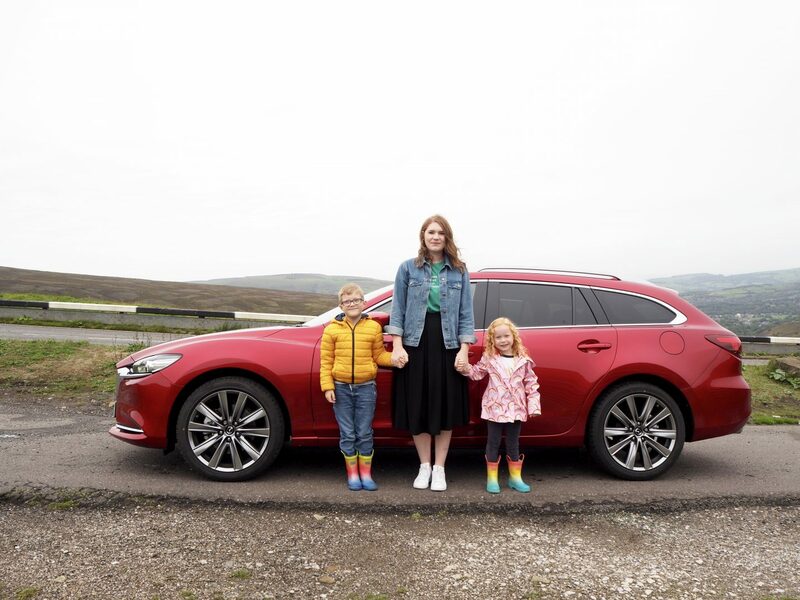 But there are so many fantastic features on the Mazda6, it really is a great car and definitely one to consider if you’re on the lookout for a new set of wheels. The Mazda6 Tourer is available from £24,095. Find out more about the new Mazda6 here.